Platypus. A mammal which might be very familiar to many of you since it’s commonly discussed during our Primary School days. 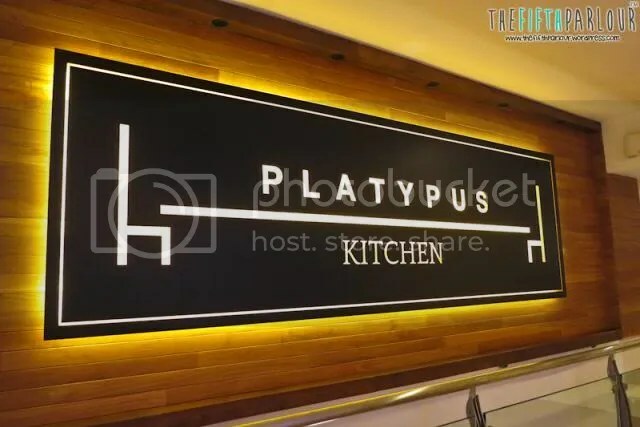 I had been wanting to try Platypus Kitchen after hearing how awesome their pasta were and I finally had the chance to when I met up with my friend to claim my free tripod! 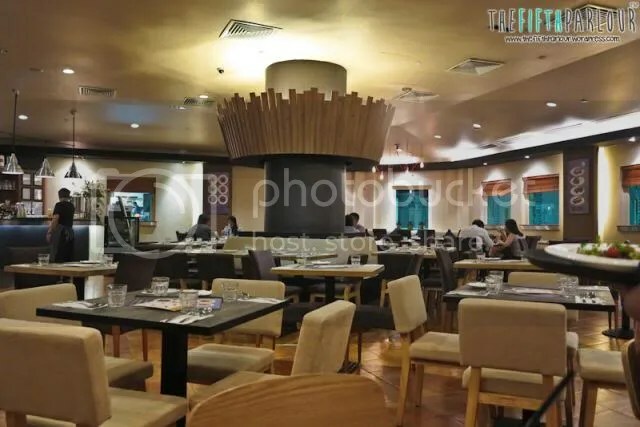 I don’t know if it was the weekday effect but the restaurant was relatively empty. Well, not a bad thing since that means I would have all the time in the world to catch up with my friend! I must say that Platypus Kitchen serves pretty affordable meals. Set meals are priced from $16.90 onwards and for that price, you get a pumpkin/mushroom soup or salad and a drink as well! Super valuable! 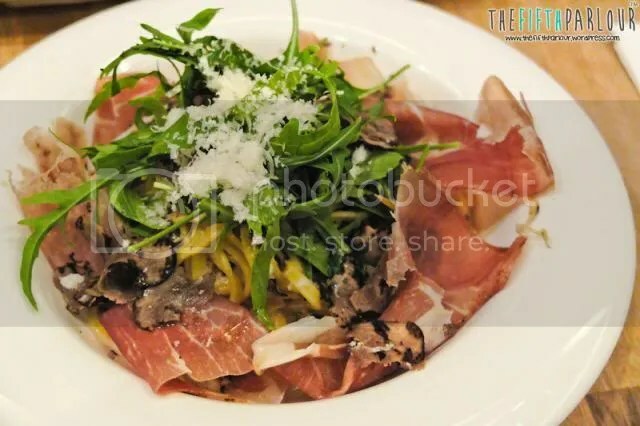 I decided on the “Truffle Carbonara Taglitelle” while my friend ordered “Prosciutto & truffles”. 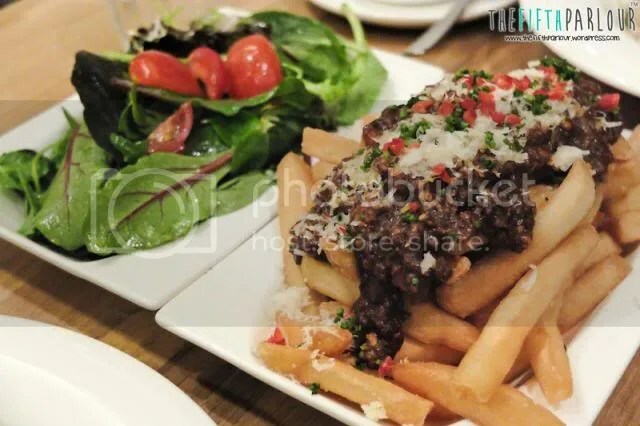 We also got “Chocolate Chili/Beef Fries” to share! YES. Chocolate Chili/Beef Fries! We were curious to know how it taste like, hence the order. And I loved how they uploaded their menu online so that you could roughly gauge the prices even before stepping into the restaurant! Good thing was that the actual deal was much cheaper! The appetizers, mushroom soup and salad, tasted really fresh and good! You could find chunks of mushroom in the soup and the salad was refreshing. And the Chocolate Chili/Beef Fries (I can’t remember?) was up next! Not a fan of the Prosciutto & truffles pasta as there was a slight bitter aftertaste probably due to the Arugula (those green veggies). But I loved my truffle carbonara! 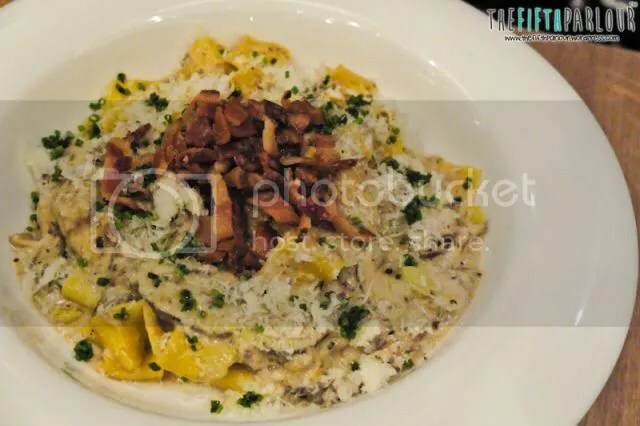 The pasta was thick and not over-cooked so it’s chewiness still maintained at a level which I really enjoyed. Besides, they were super generous on the truffles and you could taste it in every bite! Strangely, I wasn’t sick of it despite of how cheesy and creamy this was. And since it’s Father’s Day this Sunday, why not take the chance to bring your Dad down for a nice meal? They had been slogging hard for the family so now, it’s time to give them a pat on their back for their effort!